Contact Excel Agriculture for any specialized requirements you may have. With a large capacity manufacturing business in Toowoomba, we can design and manufacture most of your agricultural machinery needs. 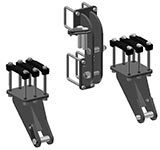 Multiple bar combinations available to suit most applications. 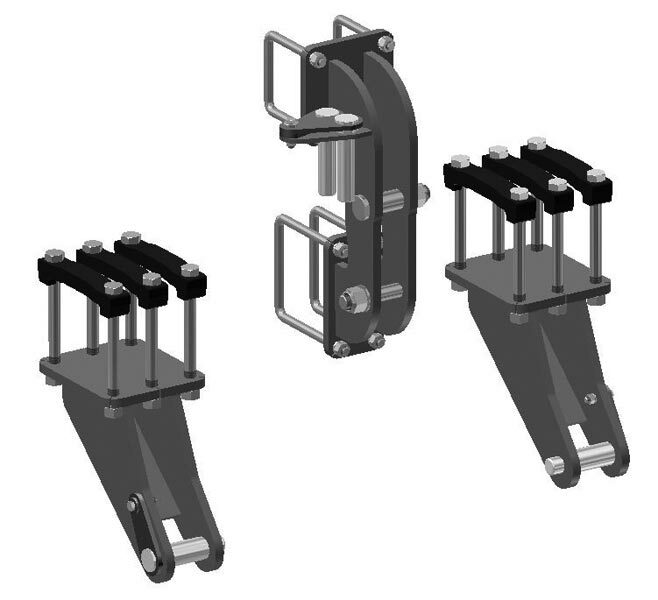 Simple design combining easily adjusted tooling options with Excel's patented in-line shear clamp assemblies. Fitted with Excel's revolutionary patented clean sweep assemblies to give you excellent in crop or fallow cultivation results with minimal soil disturbance and minimal moisture loss. All Excel Products have 12 months warranty, backed up by our superior on farm service. 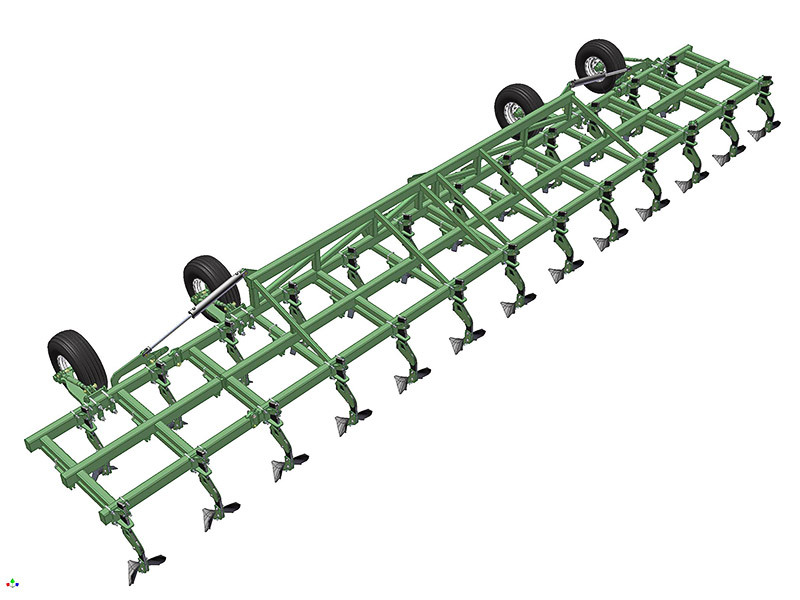 Contact us at Excel to discuss your fixed cultivators requirements. 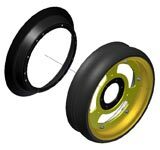 We are happy to announce that we have released our Slotted Gauge Wheels to suit our single and double disc planter units. After receiving feedback from many of our customers that in wet conditions they were having trouble with trash and wet soil causing blockages behind the gauge wheel, we investigated ways of keeping the trash and wet soil out or getting it out more easily. Rather than simply cutting holes in the rims we decided that in order to maintain the strength of the original rim we would have to remove the centre of the rim and replace it with a heavier option. The end result is a great improvement, with many customers choosing to get us to retrofit the new centre to their existing Excel units. With the advent of more powerful tractors, we are seeing more demand for Category 4 three point linkage points. 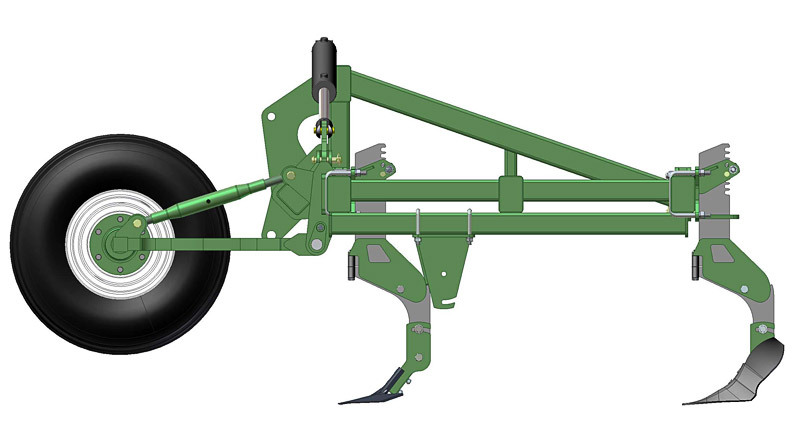 We are now fitting a multi-fit linkage to many of our row crop machines. 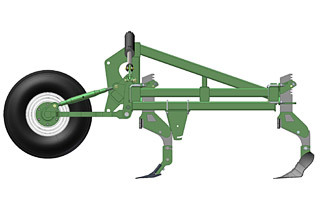 This will allow one machine to be used on either Category 3 or Category 4 linkage tractors, saving the time consuming task of switching tractor linkage to suit the implement. Planting is never an easy job, there is always the need to start before conditions are ideal. Quite often this means running disc planters when it is too wet, this results in excess trash and mud getting behind gauge wheels and causing nuisance blockages. 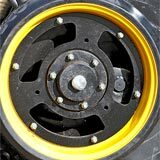 We have introduced to our range a scraper ring that bolts inside the gauge wheel on most Excel, John Deere, Kinze, Norseman and Boss double or single disc planter units. 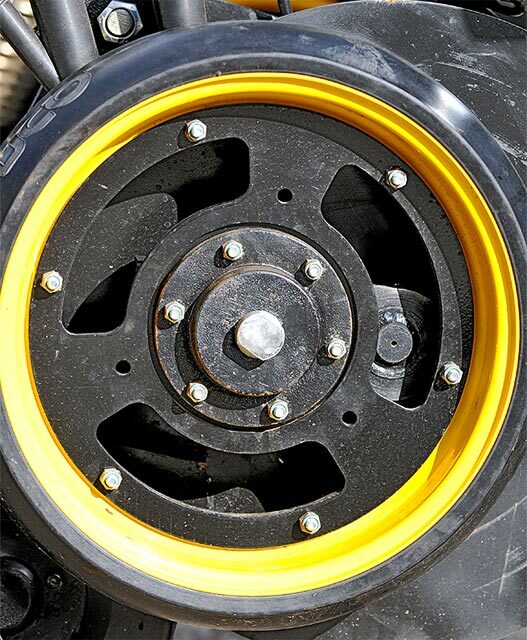 The ring has been pressed from Boron Steel (the same material that the discs are made from), this guarantees a long and trouble free life no matter what condition your tyres are in. Contact us at Excel to discuss your other agricultural product requirements.